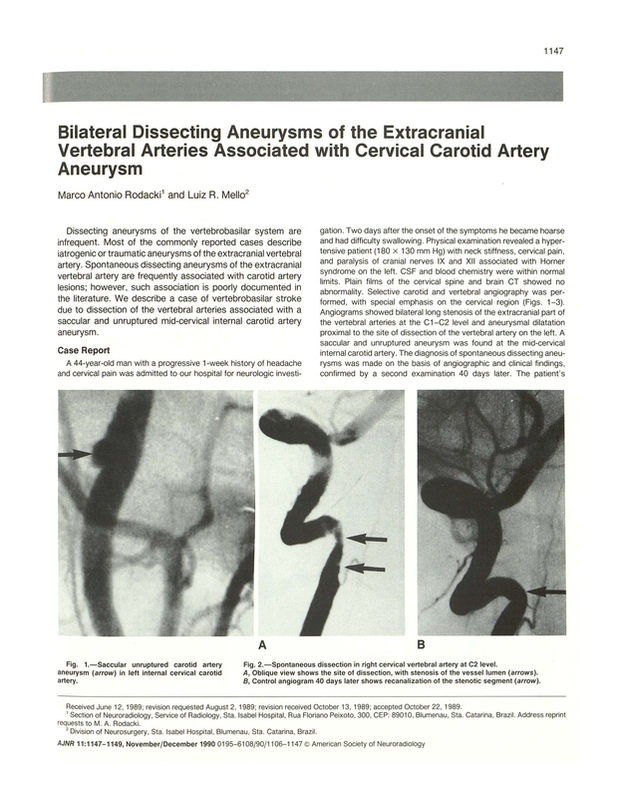 Bilateral dissecting aneurysms of the extracranial vertebral arteries associated with cervical carotid artery aneurysm. Section of Neuroradiology, Sta. Isabel Hospital, Sta. Catarina, Brazil. You are going to email the following Bilateral dissecting aneurysms of the extracranial vertebral arteries associated with cervical carotid artery aneurysm.